I met up with Rick again out at Saddleback Butte during September's New Moon (Mt. Pinos was covered with smoke from the "Day" fire). 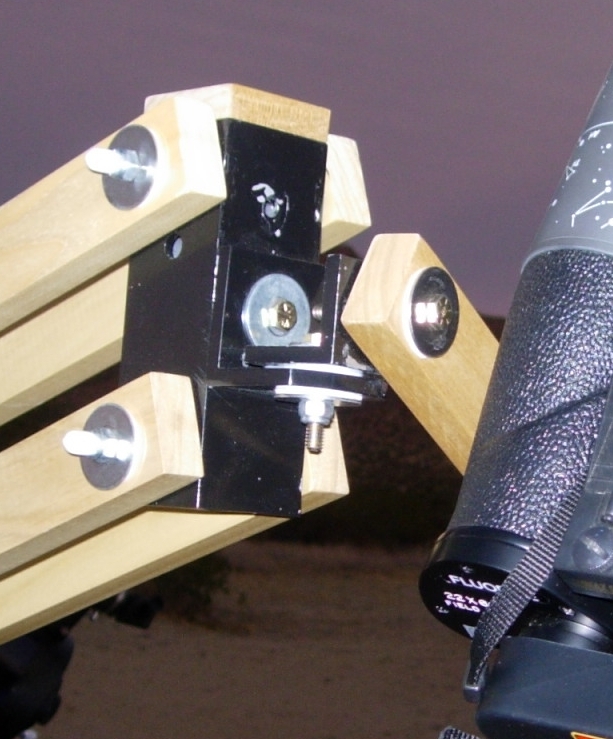 I got a chance to check out the latest improvement in his Bino parallel mount. Here are some pictures of the overall assembly. Here are photos of the latest Binomount modification from Rick Miseroy. 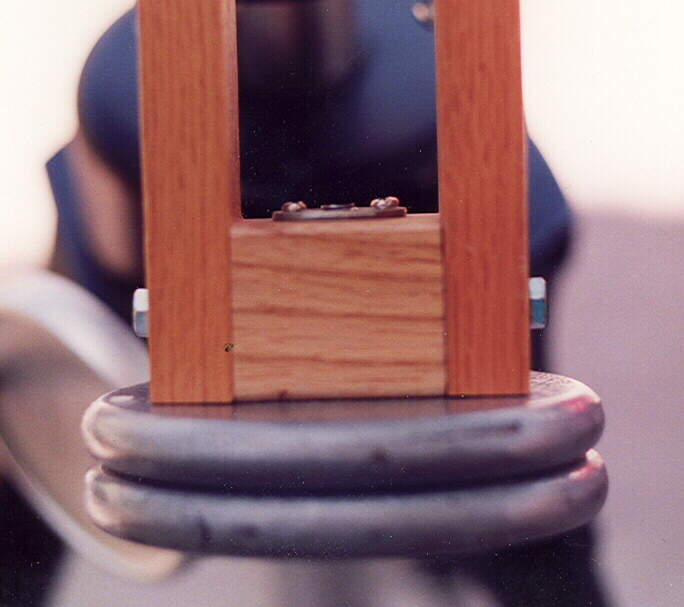 In the picture to the right, check out the new rotation point around the vertical axis between the parallelogram mount and the altitude bearing. This mount not only looks fantastic, it's smooth as silk to use!! Thanks to a fortuitous astronomical meeting on top of Mt. 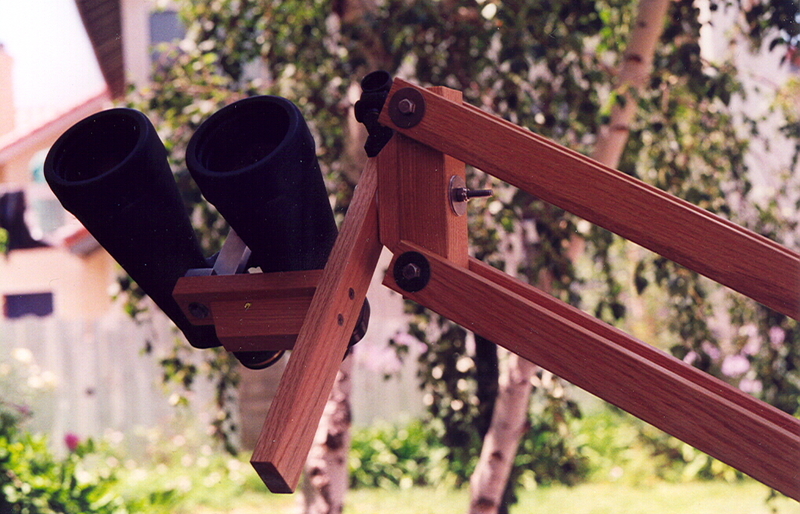 Pinos, May 11/12/02, I was able to meet Rick Miseroy and get a chance to admire his outstanding work on this binocular parallelogram mount. 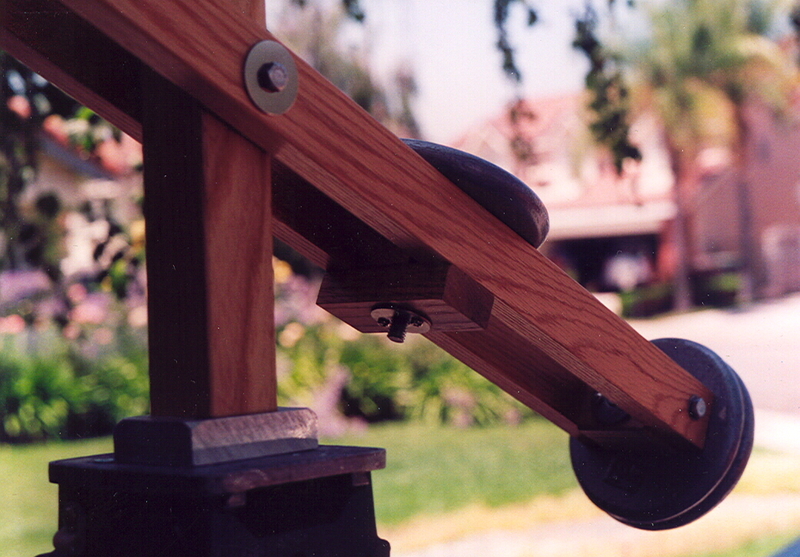 Some of the things that impressed me were not just the quality (he built it entirely out of oak - even an oak table leg for the center support) but that the entire mount could easily be built with common tools in your wood shop. 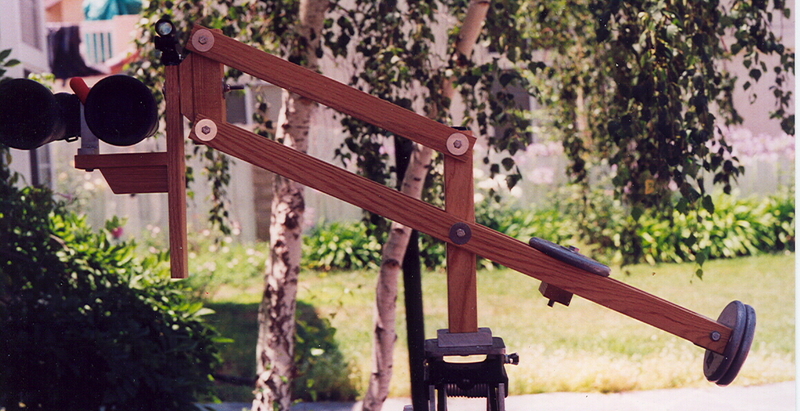 He has some unique solutions to the counterweight attachment problem and his use of basic hardware. 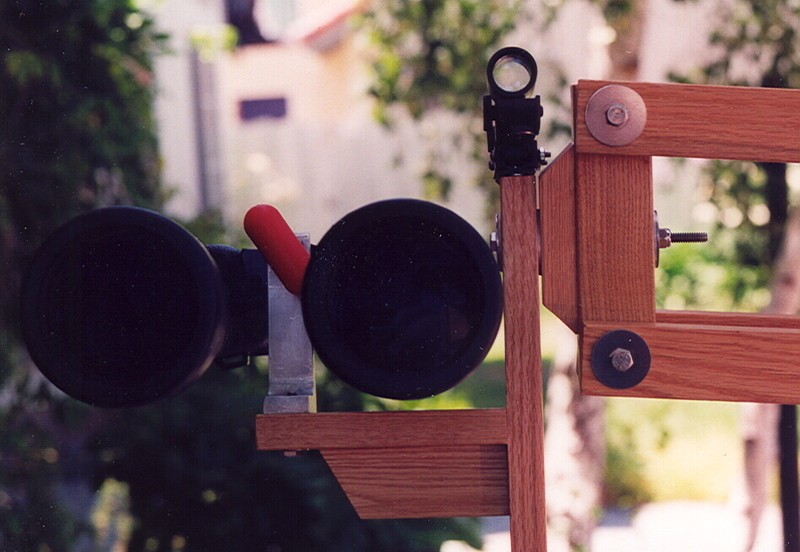 With the exception of the ball mount to connect the binoculars to the mount, you can get everything at Home Depot. 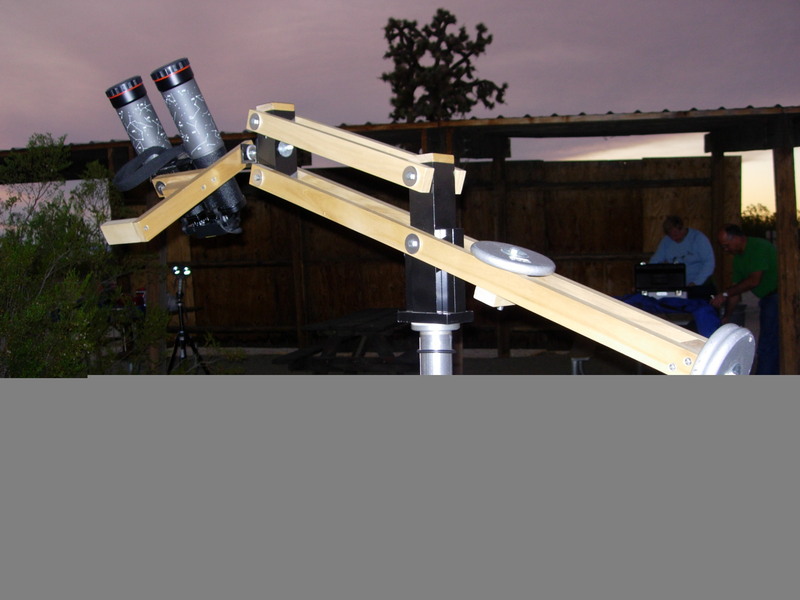 Rick continues to improve his binocular mount! He sent me an entirely new set of pictures over the Summer that I was just able to uncompress because my computer had a problem. Here are the completely new, updated files! 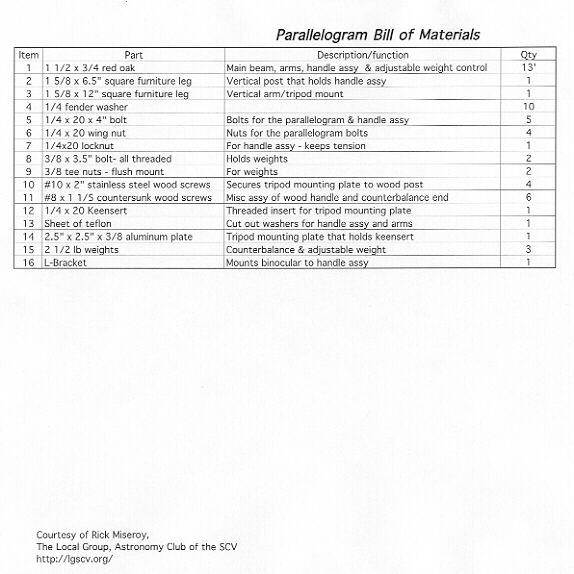 You may right click and select "View Image" to see full size versions of each of the pictures. 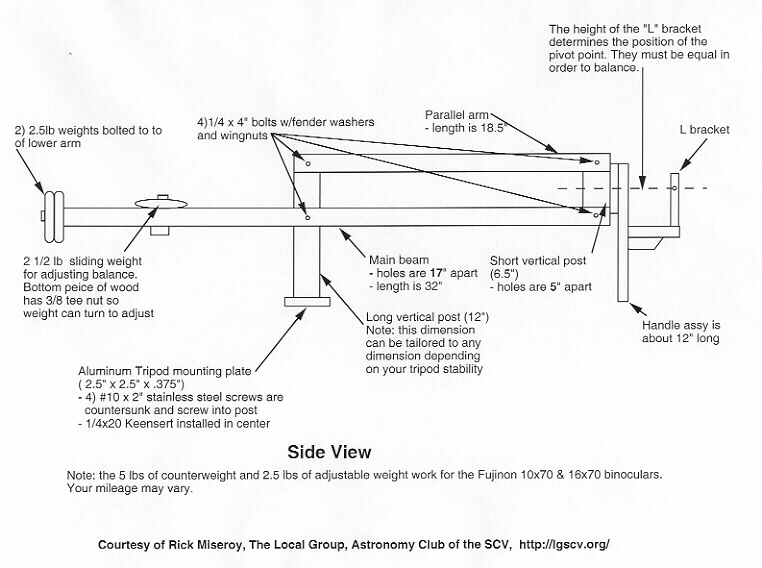 Detailed pictures of Rick Miseroy's great binocular mount. 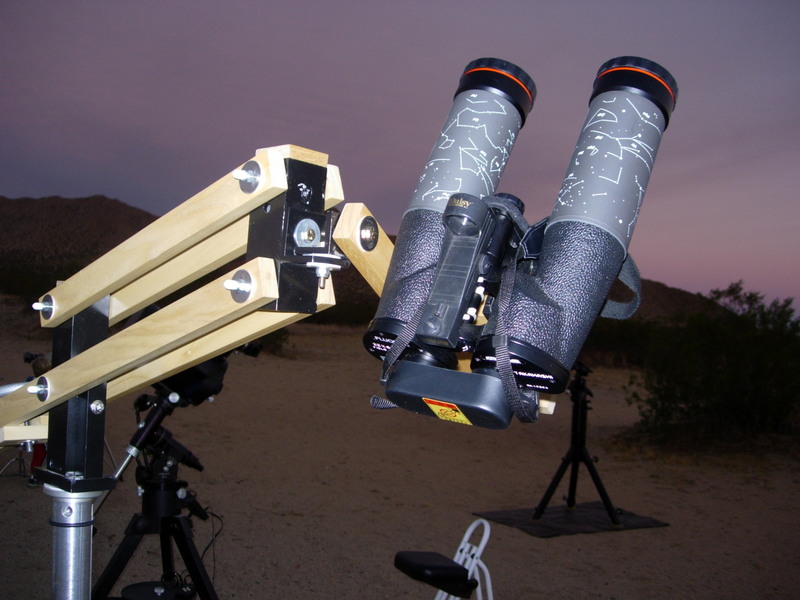 Easy to make, rock steady mount and by far the best amateur astronopmy value for using binoculars for visual observation. Photos and plans are courtesy of Rick Miseroy, The Local Group of Santa Clarita, California.